Yeah, I like the Beatles...but I also like these guys as well. Now where are they from again...? 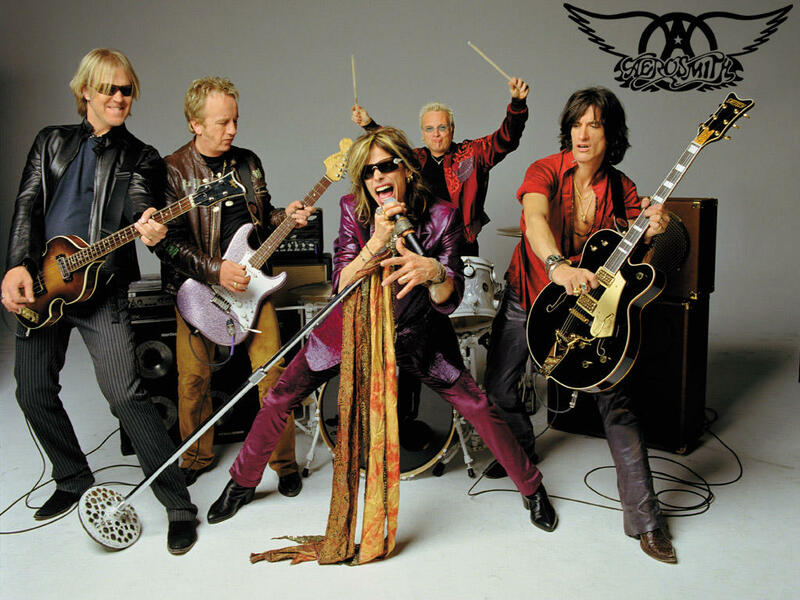 Yeah, but Aerosmith ain't the Beatles. Only the Stones and possibly U2 could approach them. The Beatles are the #1 rock band of all time, from what I gather. Anyway, you've gotta love the Beatles. Sir Paul being a Yankee fan is great stuff. I'm not too sure about Alec Baldwin. Other than his famous marriage (and even more infamous divorce) to/from Kim Basinger, I haven't followed him much. Anyway, if we win this game, I say that you all should take a week away from here, don't eat any chowda for that week, and wear Yankee avs. The last y'all could do. Your wife likes the Jints and the Mets? I dunno, that's a mixed bag to me. Gang Green played at Shea; the Jints played at Yankee Stadium for the past 50 years. In fact, Bob Sheppard, the Yanks' stadium announcer since 1951 is, I think, still their stadium announcer at the Meadowlands in East Rutherford, NJ. Last edited by Mattingly; 08-30-2007, 12:56 PM. Dustin Pedroia was asked what the Red Sox need to do to turn it around. They have lost six straight and 14 of 21. “I don’t know. I’m not a magic person. I just play second base,” he said. OK, we'll give you two at The Zoo. I have a feeling Schilling will shut you guys down tomorrow. See SDL. As always when I expect the Yanks to lose, they beat the Red Sox. Deep in your heart you knew that not Schilling would shut out his opponent, but Wang would. Two wonderful plays by Jason Giambi. Youk leaving his line between second and third to avoid a tag and ruled out after a protest by the Yanks. As a result Francona was tossed from the game. It was fun to see how Torre protested first and as soon as the umps reversed the first call, how Francona raced on the field. Error with a capital E (and not because it is the first word of this line) by Tek to score Abreu and A-Rod all the way from first. And in the end a 5-0 shut out... MWHAAAHAAAHAAAHAAA!!!! Last edited by Yankeebiscuitfan; 08-30-2007, 01:58 PM. Lets get the lead down to 2 games by the time we face Boston in Fenway. That should be a fun series! I ate dinner there after my graduation from high school. Ate a lot of seafood but no oysters. I definitely prefer a lot of bands to the Beatles. I like Nirvana and Black Sabbath better than the Beatles. Of course I just love hard rock in general. Could you guys stay another week or so in town? Last edited by Solair Wright; 08-30-2007, 10:41 PM. Listen up! We'll get revenge, just you wait! We'll be back for another meeting at Fenway, we'll be back for sure! Man, if our boys had gotten swept like that, I'd be hiding under a rock somewhere, hoping not to be found or even noticed. Oh well, keep posting, Beantowners. Gives me something amusing to look at during the crazy day. I should just pour a gallon of lemonade into your chowda, just to curdle it! How'd the Giants do last night against the Patriots?